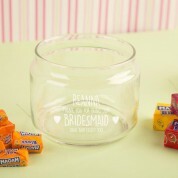 A unique and quirky way of saying thank you for being my Bridesmaid! 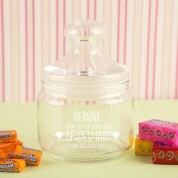 This one of a kind glass jar is personally engraved with her name and a short 'with love' message. 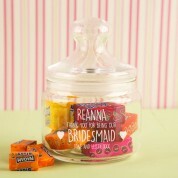 Fill it with her favourite sweeties to give it an extra personal touch. 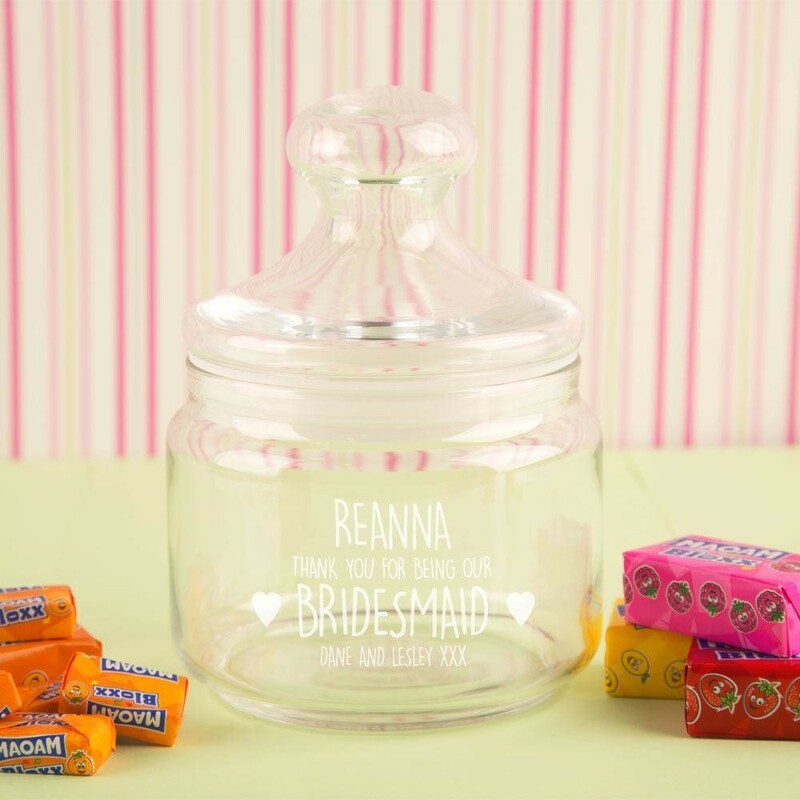 She can choose to refill it or use it around the house for storage – either way she can always remember your special day with such a unique keepsake. All designs, personalisation and engraving are done in house by our production team to ensure the best quality is delivered to the customer.